For more than four decades, the Chicago Board Options Exchange has allowed investors to place their bets on commodities from corn to steel. On Sunday, the exchange began offering options to bet on something very different: bitcoins. Why is it different? With stocks and commodities, there's an underlying asset. For stocks, it's a company and the goods or services they produce. For commodities, it's the actual item, like oil, fruit or copper. With bitcoin, there's nothing like that. Unlike traditional commodities, there's not a physical asset behind it. And unlike currencies, there isn't a central bank ready to back bitcoin up. The U.S. Commodity Futures Trading Commission, which certified bitcoin futures for trading, acknowledged the unprecedented step taken by the Chicago Board Options Exchange. Bitcoin "is a commodity unlike any the commission has dealt with in the past," CFTC chairman J. Christopher Giancarlo said in a statement December 1. There's more to come. Bitcoin futures will also begin trading on the Chicago Mercantile Exchange on December 17-18, while the Nasdaq will debut the options sometime next year. Are you trading bitcoin? We want to hear from you. Bitcoins are bought and sold on unregulated virtual exchanges -- and it's been extremely volatile. The price of a single bitcoin recently soared on some exchanges from less than $10,000 to $17,000 before dropping back to near the $15,000 mark, spurring renewed warnings of a bubble. Nobel laureate Joseph Stiglitz told Bloomberg TV that the currency "ought to be outlawed." But some people -- particularly in the hedge fund world, where there's a healthy appetite for risk -- say bitcoin futures present an opportunity. Futures are contracts that let investors buy or sell something at a specific price in the future -- in this case, bitcoin. Trading in futures contracts makes bitcoin more accessible to fund managers who don't want to own bitcoin directly but do want to speculate on whether it will go up or down in price. Stephen Bielecki, an attorney with Kleinberg Kaplan, said his law firm received two inquiries last week, amid the wild price swings, about setting up new bitcoin-focused funds. "I think the volatility presents opportunity," he told CNNMoney. It "makes those bets via futures feel more extreme, or feel more pronounced, because you might be saying, 'We're betting on an 80% gain three weeks from now.'" 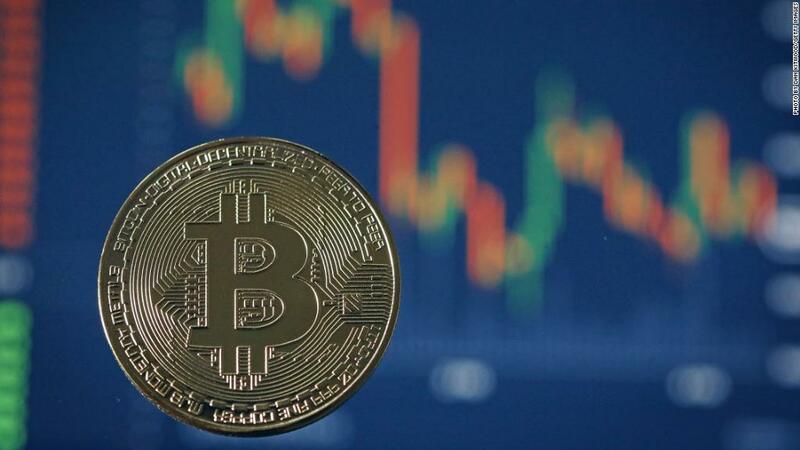 And Joshua Klayman, who heads the cryptocurrency unit at law firm Morrison & Foerster, said bitcoin's debut on the futures market means investors can bet on bitcoin's performance without having to actually own any. "I think if it is a bubble, my impression is that we're just getting started here," she said. "I do think there'll be continued volatility, but I'm bullish on cryptocurrency in general." While interest in bitcoin is growing, some establishment players are warning about futures trading. Last week, the Futures Industry Association, which represents brokers and big banks like JPMorgan and Goldman Sachs, wrote an open letter to the CFTC. It warned that the certification of bitcoin futures "did not allow for proper public transparency and input." The association said that a "more thorough and considered process" would have allowed exchanges and trading clearinghouses more time to study ways to protect against extreme price swings. The group is worried that banks could be on the hook if something goes wrong. For its part, CFTC head Giancarlo said in his statement this month that futures exchanges have agreed to "significant enhancements to protect customers and maintain orderly markets" for bitcoin. He also warned investors "should take note" that the underlying bitcoin market is "relatively nascent" and remains "largely unregulated." --CNNMoney's Ivana Kottasová and Daniel Shane contributed to this report.